Ignore him – he’s being lewd. She told us of her doubts regarding the policy. I was told of his death by a fellow officer. Customers might have feared they were intruding on a private moment when they walked through a shopping centre over the weekend. 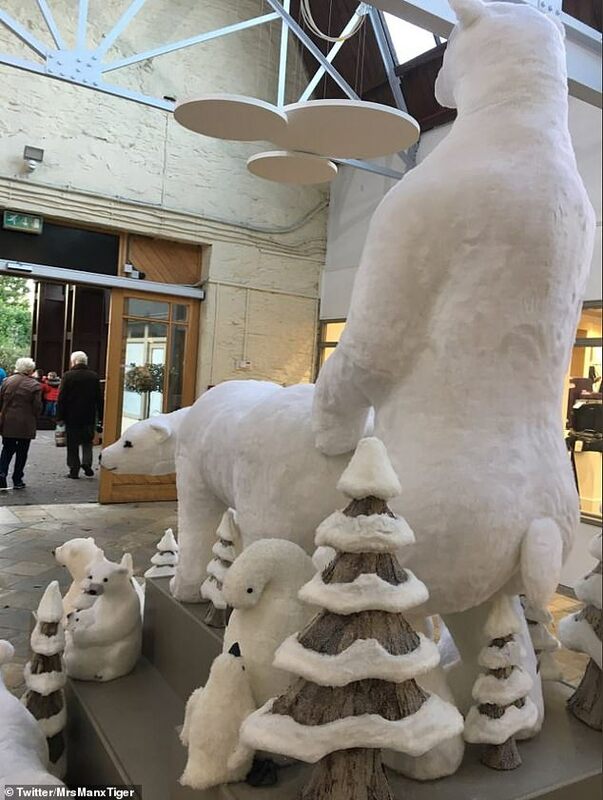 As these photographs show, two polar bears were left in an X-rated position in the middle of Tynwald Mills mall on the Isle of Man as part of its Christmas display. 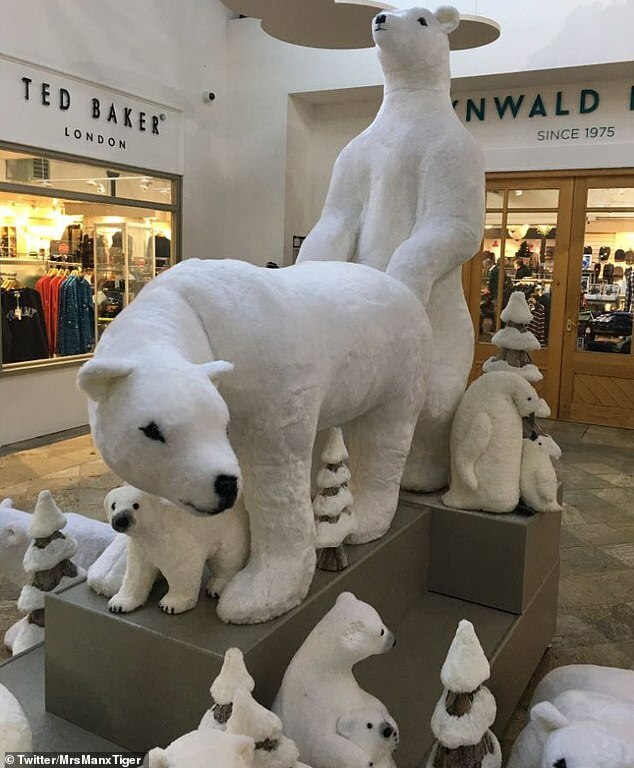 Shoppers took to Twitter and Facebook to tell of their amusement at the polar bears, but the shopping mall has now apologised and changed the lewd positioning. Most older employees fear unemployment. Health experts fear that a flu epidemic will hit Britain this winter. The cab driver was going so fast, I feared for our safety. I was very concerned about her, but I didn’t want to intrude. And Sharon Leggate added: ‘I completely understand some people may have been offended by the display and the bears had to be told to refrain themselves. They had plenty of time, yet she felt there was almost none. The novel is 800 pages long, yet it reads more quickly than many shorter books. He’s overweight and bald, (and) yet somehow, he’s attractive. He looks cheerful yet somehow sad at the same time. Melissa was not doing well in her physics course, yet overall she had a B average. I am very disturbed by the complaints that have been made against you. 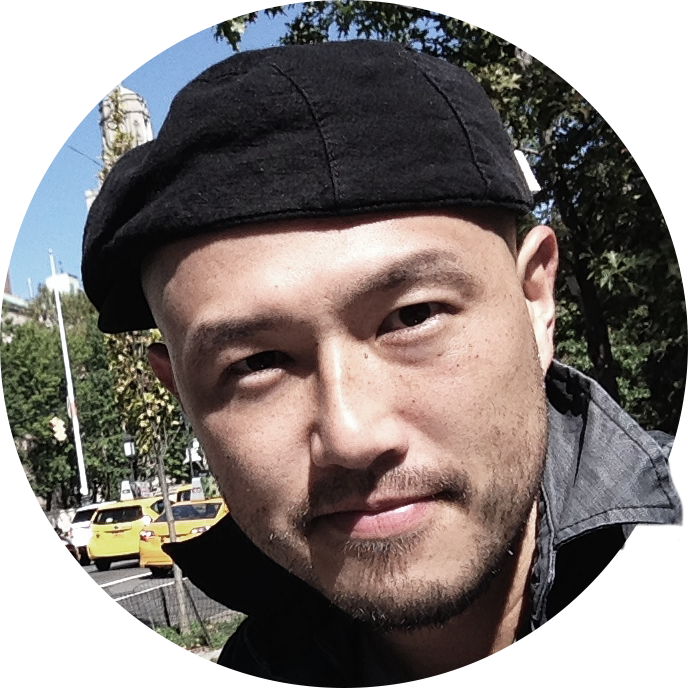 He wrote a book on the treatment of emotionally disturbed children. Stop acting like an idiot and get a life! Don’t tell me you’re cleaning the house on a Saturday night? Get a life, Hannah! Dave kept trying to tell me what to do, and I just told him to get a life. We refrained from talking until we knew that it was safe. But a spokesman for Tynwald Mills, which is the Isle of Man’s only department store and has been established for 30 years, has now apologised for the display. They said on Facebook: ‘We’d like to thank our customers for getting a little too into Christmas this year with our Polar Bears in the atrium and can reassure you the display has changed somewhat since setup. She checked the bolts to reassure herself that the door was locked. I was nervous on my first day at college, but I was reassured to see some friendly faces. Her smile didn’t reassure me. “Don’t worry, your car will be ready tomorrow,” the mechanic assured him. She assured him (that) the car would be ready the next day. The governor assured the voters (that) taxes would not be raised.